The second album from Avatarium blends Candlemass-style doom metal with Rainbow-inspired hard rock and emotive female vocals to great effect. More rounded and elegant than its self-titled predecessor, ‘The Girl With The Dragon – sorry – Raven Mask’ is a bold, confident and sumptuous offering, with enough depth and texture to absorb the listener throughout its eight tracks. ‘The Girl With The Pearl – sorry – Raven Mask’ touches greatness in parts. ‘Pearls And Coffins’, for example, is a thundering, menacing monster, while the final track, ’The Master Thief’ and the enormous ‘The January Sea’ are pretty spectacular too. ‘Run Killer Run’ is an effective and effervescent slab of early Cathedral doom-groove, with maybe a hint of Trouble. It feels kind of wrong to describe doom pioneer Leif Edling as anything other than an innovator, but even when he and his crew are drawing inspiration from others who have gone before, they do it with natural style and power. Elsewhere, the album settles into a more pedestrian pattern. ‘Ghostlight’ is a feminised, rockier version of good old Candlemass, but then it stops and stumbles off to become something less impressive, sucking upon the teat of classic Rainbow but not quite moulding the track it into the massive epic whole it had threatened to become. 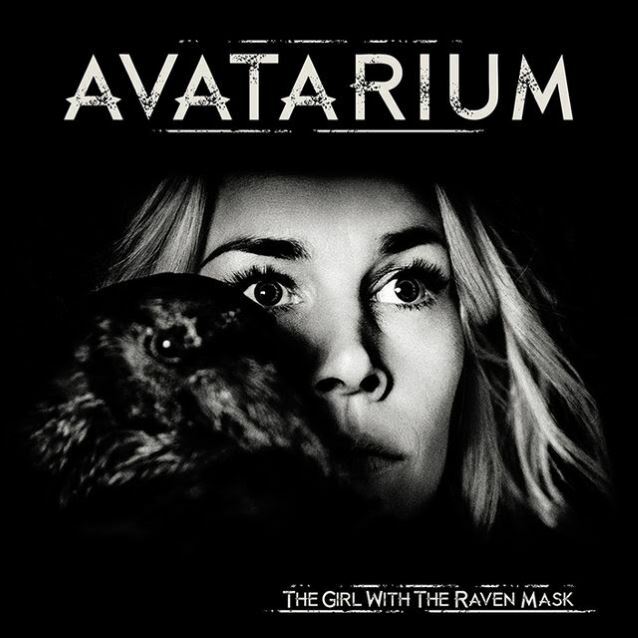 Fans who relished the jaunty, stop-start quirks of ‘Moonhorse’ from the debut release will undoubtedly love Avatarium’s new album, while those who appreciated the more graceful ‘Deep Well’ or ‘Bird Of Prey’ will find plenty to enjoy too. Each band member’s technical skills are on display to be admired. Guitarist Marcus Jidell dons his Ritchie Blackmore hat and struts his stuff, while keyboard player Carl Westholm is given license to twiddle as many knobs as he can get his hands on, like some kind of gleeful 70s synth wizard. Jennie-Ann Smith’s fragile, ghostly vocals combine with pulsating organs and steel-edged guitar tones to create a rich, compelling soundscape. This site makes no apology for its rose-tinted love affair with Candlemass founder Edling, such has been the enduring impact of the Swedish bass basher’s contribution to metal. ‘The Girl With The Raven Mask’ is a worthy addition to his mighty canon of work. In truth, there are few genuine surprises as this glorious prog-tinged doom opus unfolds, but, typically, you get lots of dark, searing riffs, regal choruses and thoroughbred quality.